We love any kit that increases our in-house capabilities. This Pro-Spray computerised paint mix system may not be as huge as the Poseidon 5 axis CNC machine recently installed in our Machineshop, but this clever system will vastly increase the speed and accuracy of our Paintshop, allowing us to create highly specific paints in-house, as and when required. 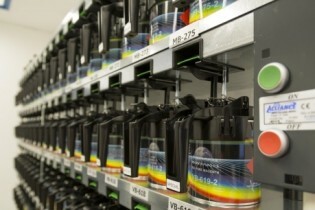 The system has over 60,000 colours along with a computerised colour retrieval system. 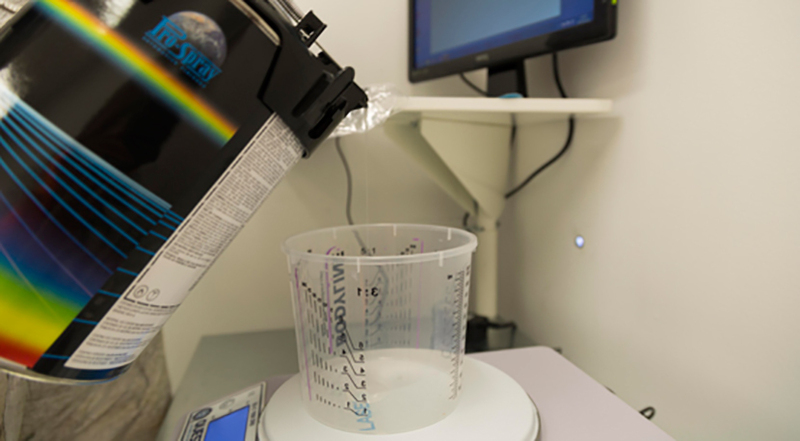 Highly accurate colour matching will enable us to increase the efficiency and accuracy of what we can offer our clients, speeding up reaction times for colour sampling and increasing our consistency. The ability to mix specific quantities, regardless of volume, also means that we can provide precise re-mixing of project specific colours, matching the exact shade every time, with the additional benefit of generating less waste. More usually found in high-end automotive workshops, the Pro-Spray provides paint for finishes on a wide range of materials such as metals, fibreglass, plastics and MDF. We’re looking forward maximising its potential while increasing accuracy, efficiency and versatility in our Paintshop and Interpretation department. See what else we offer in-house.